On October 10, 1980, George Brett of the Kansas City Royals stepped to the plate in the top of the seventh inning in Game 3 of the American League Championship Series against the New York Yankees at Yankee Stadium. 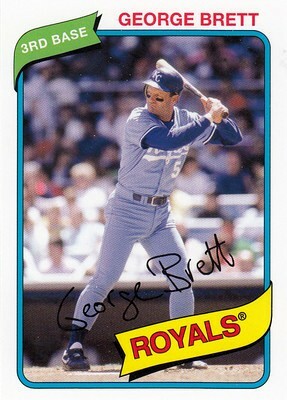 The Royals trailed 2-1 and had two runners on base with two outs; Goose Gossage was on the mound for the Yankees. Gossage snorted, wound up, and delivered his hardest fastball of the night. Brett swung and it sounded as if a loud clap of thunder had exploded in the sky over the Bronx. The boom echoed throughout the corners of the House that Ruth Built. The ball shot into the night and did not touch down until it reached the third row of the third deck above right field. The home run gave the Royals a 4-2 lead, which wound up being the final score as the Royals completed a three-game sweep of the Yankees. All 56,588 fans in Yankee Stadium, everyone watching on television, and everyone tuned in to the radio broadcast knew at the crack of the bat that Brett had wiped out the Yankees’ lead. A bat connecting with a baseball should be one of the most distinctive sounds in sports. That is one reason why I feel that next to the designated hitter the biggest aberration in the history of baseball has to be the invention of the metal alloy–aluminum–bat. The ubiquitous monstrosity has defiled baseball at every level below the professional ranks. College, high school, little league, coach-pitch, and t-ball all use aluminum bats–and I wish they all would stop. Thank goodness Major League Baseball has not allowed this atrocity to infiltrate the big league game. 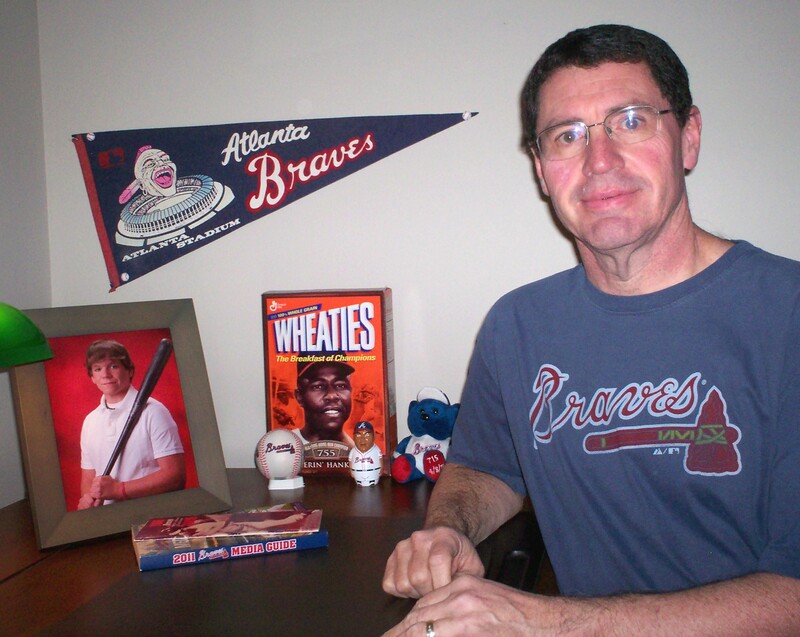 I remember the first time I saw–and heard–an aluminum baseball bat. When I was 13, our coach brought a couple of aluminum bats to one of our practices. I was in the outfield shagging fly balls during batting practice when one of my teammates tried out one of the metal clubs. The first time he hit a ball, I heard a PING! that echoed around the park. I looked up and saw the ball coming in my direction and had to run in to try to catch it. The next swing produced the same PING! but this time it came from a high pop fly on the infield. I quickly learned that with aluminum bats there was no discernible difference between the sound of a long home run and the sound of a foul out to the catcher. I grew up listening to baseball on the radio. With wooden bats, I could tell by the crack of the bat whether someone had hit a ball really hard. Friday night Jason Heyward of the Atlanta Braves hit a long home run against the Washington Nationals. I could tell by the sound of the bat that the ball was going a long way. 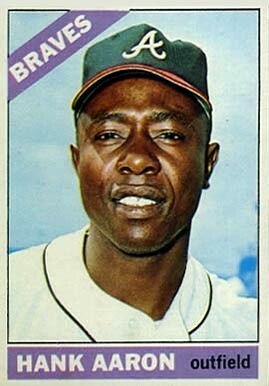 A couple of years ago, Braves’ manager Bobby Cox, speaking about Heyward, told the Atlanta Journal-Constitution that “His line drive is like the old Hank Aaron sound.” If Heyward had been using an aluminum bat, Cox would not have been able to make such a comparison. Last Friday we went to Hawkins Field in Nashville to watch the Vanderbilt Commodores take on the Ole Miss Rebels. Southeastern Conference baseball is a fine version of America’s Pastime, but I simply do not enjoy it as much without the sound of a wooden bat hitting the baseball. Aluminum bats are better than they once were, but the sound they produce is more like that of a blacksmith hammering on a horseshoe than a bat connecting with a baseball. Aluminum bats allow players to get more distance on their drives and they also allow balls hit on the fists to travel further than they would have with a wooden bat. Like them or not, aluminum bats are here to stay. Players like the harder-hit balls and the long home runs. Baseball programs like the fact that the metal bats don’t break. Since the aluminum bats don’t break, amateur programs do not constantly have to buy replacements for broken wooden bats. But aluminum bats don’t grow on trees; good ones can run anywhere from $250 to $500. Aluminum is a fine material for a boat hull, a hard hat, a sandwich wrap, or any number of other useful products. It belongs on the periodic table right up there below boron and just to the left of silicon; however, it does not belong in a bat rack. Maybe someday the aluminum bat will go the way of the passenger pigeon. But I don’t see it happening anytime soon.